Get the putting look you’ve been waiting for! Spruce up your backyard or golf course and save water, time and money! 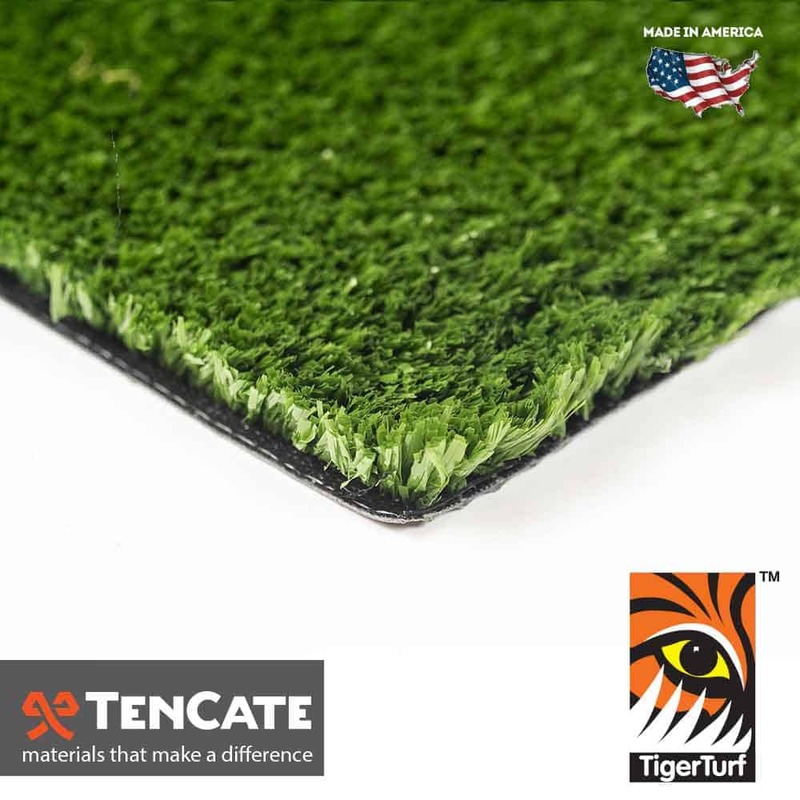 TigerTurf True Putt is a high quality putting green that features high green speeds that allow your golf ball to react at PGA level. Backed by an 8 year putting green warranty, True Putt is featured in a beautiful 38 ounce face weight and is ideal for any backyard putting green, public or private courses! The slit film polypropylene grass blades are perfectly designed for your golf ball to roll true. Each grass blade contains U.V. inhibitors that are installed at the manufacturing level, so your putting green will retain it’s beautiful color for years to come–no matter the amount of sunshine! Put this putting green to the test and design the course of your dreams in your own backyard!